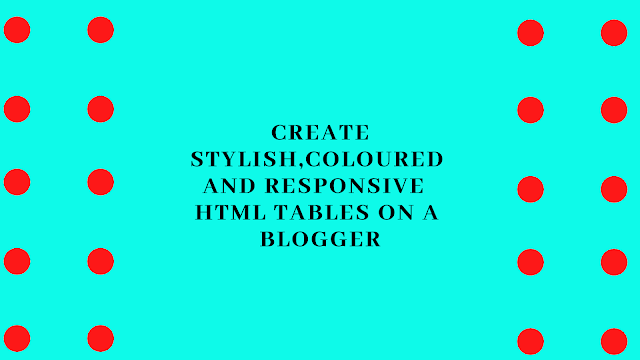 Here I am going to show you , How to create stylish,coloured and responsive HTML tables on a blogger. If you are a blogger , you must need table sometimes for giving headings , titles etc. So below I am giving you the code using which you can create responsive tables .You can edit the code as per your need. This is the code given below for this above table.